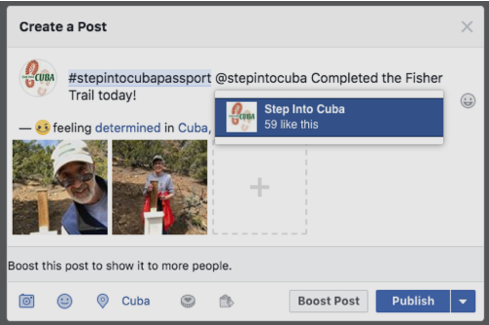 What is Step Into Cuba? The passport will guide you to the trails or walking places around Cuba. 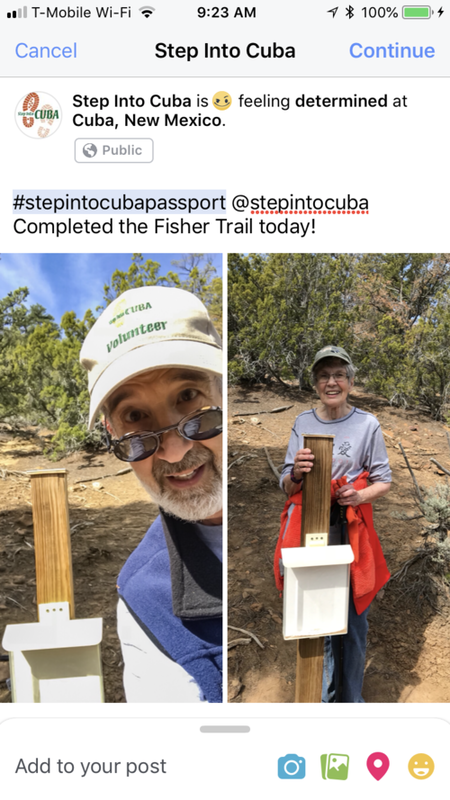 Stamp your passport by completing a rubbing on a post at each trail or share a photo from the trail with the hashtag #stepintocubapassport. Visit us at the Cuba Public Health Office, 6362 US 550, north of the post office to receive a Passport or use the form to enroll and download the Digital Passport below. Discover and hike the Step Into Cuba trails and earn rewards while supplies last. This helps us track your submission and earn you rewards. If you do not have a Facebook account and would prefer you can email your submissions to alortega@salud.unm.edu. Please remember to include your name, the trail name or number and date of completion. 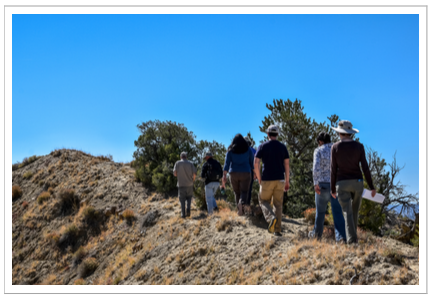 This website is provided by The University of New Mexico's Prevention Research Center, a member of the Prevention Research Centers Program, supported by the Centers for Disease Control and Prevention cooperative agreement number U48-DP-000061-05. For more information, please contact the UNM Prevention Research Center at (505) 272-4462.